WVU gets two big-time commitments following the Blue-Gold Spring Game. 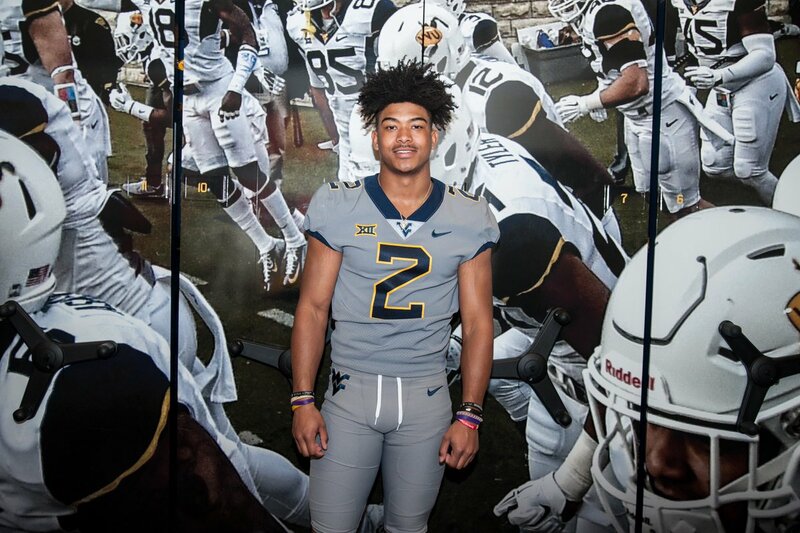 Devell Washington, the 6’4 215 pound Wide Receiver from Bay City, Michigan, committed to the West Virginia Mountaineers following their annual Blue-Gold Spring Game. Washington, a 3 star recruit, held offers from Ohio State, Michigan, Michigan State, Purdue and Iowa State. When Washington attended Michigan’s prospect camp last year as a Junior, Jim Harbaugh was stunned when he saw him run the gauntlet drill. Harbaugh claimed he had never seen a player run it as well or fast as Washington and immediately offered him a scholarship afterwards. Washington joins Reese Smith as the two wide receiver commits in the 2020 class. In addition to Washington, West Virginia appears to be close to closing the deal on Aaron Lewis, the 3 star, 6’5 235 New Jersey Defensive Lineman. Lewis appears to be (was definitely) the player that WVU coaches were Tweeting about following the Spring Game. However, nothing official has been announced yet. Lewis, who recently narrowed his list to Wisconsin, Michigan, Ohio State, Penn State and West Virginia, was apparently impressed enough with what he saw yesterday to make his commitment to WVU. Lewis would be a huge get for Coach Lesley on the defensive line and Coach Koenning’s defense.